If you’ve been keeping track, you might remember that I spent the last few months in the midst of learning Mandarin alongside my husband. One evening, I interrupted his after work TV time to ask him his thoughts on the experience. Me: Hey hon. Can I interrupt you to get you to help me with something? Husband: Is this about Mandarin? 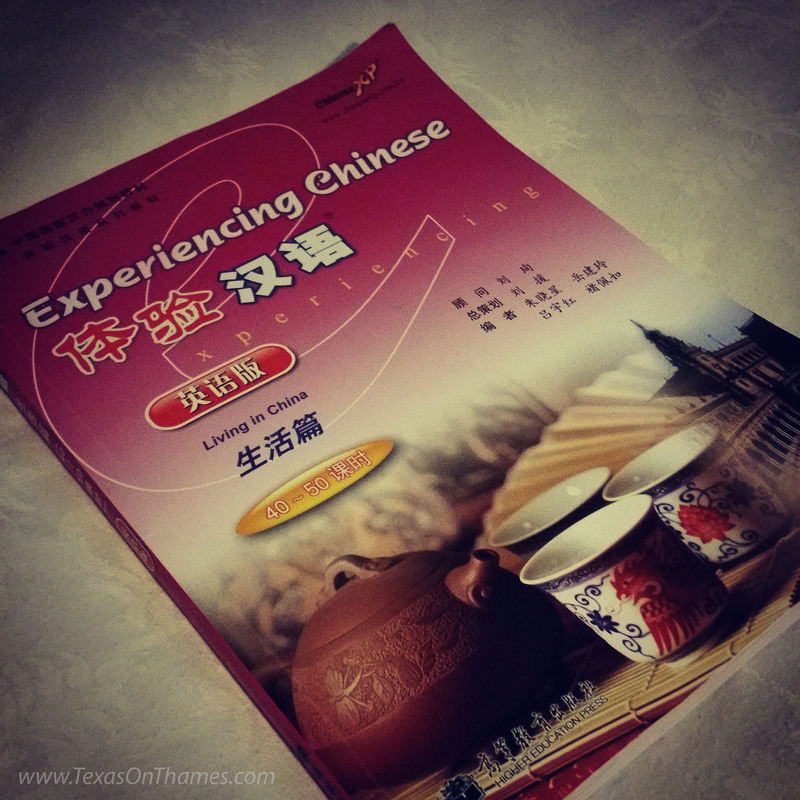 Me: Yep, Just wondering – What made you want to learn Mandarin? Husband: It’s a major language in the part of the world we live in. It would be foolish not to try to communicate. Me: Good point. What are your general thoughts on the lessons? Husband: I enjoyed them but I don’t think I’ve had the opportunity to exercise what I learned other than when I visit Din Tai Fung, so I am frustrated about that. Me: So you aren’t dazzling anyone with your ability to speak in Mandarin then? Husband: I don’t think I’ve impressed anyone with my Mandarin, but the effort I put in to learn it might have impressed a few people, especially my Mandarin speaking colleagues. Me: What could be done to improve your Mandarin language skills? What about the free weekly speaking club Elite provides? Would that give you an opportunity to use the skills you’ve learned? Husband: I think going to the club would help, if the teacher could assist more toward the first visit. Me: Do you think a few catch up privates would help? Husband: Perhaps, I’d see how that works. Our class size of five was small so I don’t expect to see a huge jump in learning productivity with privates. The better they can do to get students somewhere to practice what they learned, the more chance of success. They have that with the language club, but I need a little more reassurance to get there to the club and participate. I’m not sure how that could be done. Me: OK, so what did you enjoy the most about the experience? Husband: I take enjoyment in learning, but the wider cultural lessons offered were interesting and enticing. They helped me maintain enthusiasm. Me: Do you have an example? Husband: We talked about the cultural significance of how time and events are communicated in Mandarin. Also the lack of tense in verbs means the language is very direct. Now we better understand Singlish in Singapore because we know a little about the other root language that makes it up. Me: What was challenging about learning Mandarin and the lessons themselves? Husband: The course material itself was relevant and focused on survival Mandarin. That was good. But it has been a long time since I was in a learning setting like that – at least a decade. The time spent away from a school-like setting put me on a learning curve in terms of absorption rate compared to my peers. They seemed to pick up things quicker. Me: You didn’t appear to struggle to me. Do you think maybe you are being hard on yourself? Husband: No, I struggled. I wouldn’t want it more challenging. I felt like the rate and pace was as good as I could have followed at a level of commitment of once a week. Me: So they hit a sweet spot with pace? Husband: Compromise between everyone in the class, isn’t it? Me: Speaking of everyone in the class, what did you think of your classmates? Husband: It was an intimate but wide range of people in terms of age, experience and income. I was apprehensive beforehand, but I found the clientele they attracted to be warm and friendly and the setting was comfortable and not intimidating, unlike other language classes. Everyone in the class felt comfortable enough to stop and ask questions at any point. Me: Between you and I, who do you think had an easier time learning Mandarin? Which one of us had more of a natural talent for it? Husband: I put more effort into it, but it was easier for you. Me: I’m not sure I agree with you, but what do you think caused me to have an easier time with it? Husband: You’re younger and your mind is a little more receptive to picking new things up. Me: I gave birth to our daughter during our 12 week course. I’m sure that affected my learning. How do you think it changed my learning pace? Husband: You missed 2 lessons, but you didn’t feel like you couldn’t come back. The other students were supportive of you and I think it was neat to everyone to have met her when you brought her to class. Me: We can tell her she had her first mandarin lesson at two weeks old! Husband: Yep! She’s got no excuse for not learning Mandarin. Me: So overall, the experience – good? Bad? Me: And was it difficult to carve out the time in your schedule to attend? Me: Thanks, hon. You can have your TV back. If you are interested in enrolling (and I encourage you to consider it! ), Elite Linguistic Network offers corporate, private and several group classes a week in Mandarin. Group classes are held at both Bugis and Jurong East and are currently $420 for 12 sessions. They offer a steal of a trial lesson at only $3 if you would like to check out the group courses prior to enrollment. Classes are 2 hours long and average between 6 and 8 students. Elite has graciously offered an exclusive promotion to TexasOnThames.com readers of 15% off for two person / 10% off for one person. Kindly quote “ELN-TEXAS” when you call in to enroll at 6565 7166. Laura’s tuition was provided free of charge by Elite while Husband’s tuition was paid. 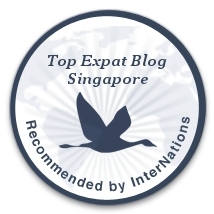 Learning Mandarin made its way onto my long and winding bucket list in 2012 when Husband and I relocated to Singapore. Sadly, even though it was on the list, I can’t say it was much of a priority as it was a good intention. I watched friends try to grasp the language with mixed success as I made “yeah, I’d like to learn too” comments. I then engaged myself in other activities instead: teaching yoga, volunteering, travelling, writing, working full time and oh yeah growing a baby. In 2014, Husband even made learning Mandarin his New Year’s Resolution, asking me if I would learn with him. I happily agreed. Then we watched 2014 come and go. So when I got an email from Elite offering me the chance to take a 12 week Mandarin course a few months ago, it finally felt like the perfect opportunity. It’s like someone read my best intentions and found a solution to my poor follow through! I signed myself and Husband up and we began our adventure. “Woe, you are learning Mandarin? Isn’t that really hard?” asked a few friends when we told them the news. This is when I learned that Husband’s mission was entirely different. He had visions of one day being able to effectively communicate on a business level in Mandarin. I suppose this is where our differing backgrounds come into play. Having grown up in Europe, he speaks Spanish almost fluently and French as necessary. Having grown up in the US and taken 3 years of German in high school followed by a short study abroad there, I can just about ask for the toilet and order an egg for breakfast. 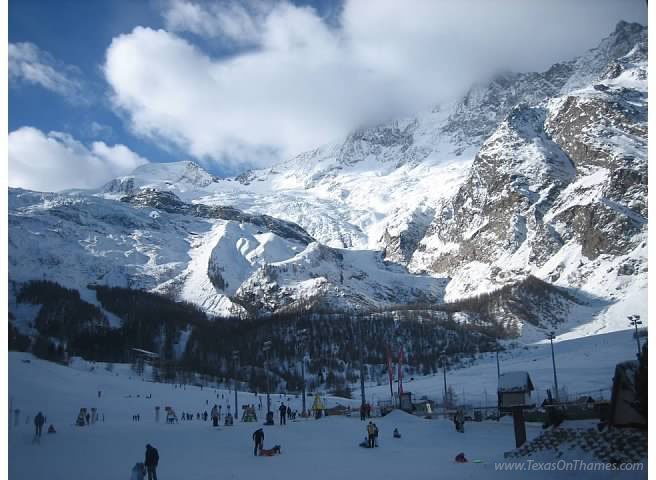 I once injured my arm skiing in Switzerland and failed miserably to get directions to the doctor. Skiing in Switzerland Using My Really Poor German Skills. So who is meeting their intentions best? I would say that it’s too early to tell and will likely depend on our individual dedications to the task. A few weeks in and we are both finding it easier to understand the culture around us. For instance, I now know why the shop clerks sound so angry to me when they sell me things- it’s all about the tonal nature of Mandarin. “Sell” in Mandarin has an abrupt tone while “buy” is the same word but sounds like a question. They continue this way of tonal communication even when they speak in English. While it can come off curt and rude to a Westerner, it’s all very normal to them and they have no idea why I am upset by the interaction. A little understanding of such things can make transactions much easier for all involved. Another thing is a shyness in Chinese culture to give a blunt yes or no. Susie, our teacher, explained that if someone asked her on a date, she would say something along the lines of “Oh I am very busy this week,” rather than “No, I am not interested,” and the person would get the hint. The lights finally went on in my head. THIS. THIS is why I feel I can’t get a straight answer sometimes. Knowing this can save me some serious frustration when I can’t indicate whether the answer is yes or no. There’s also the lack of verb tense in Mandarin, which explains why we often hear funny expressions in English or native Mandarin speakers feel like us Latin based language speakers use too many words. And then the Chinese culture of “sounds like” and word plays that just comes off as quirky. 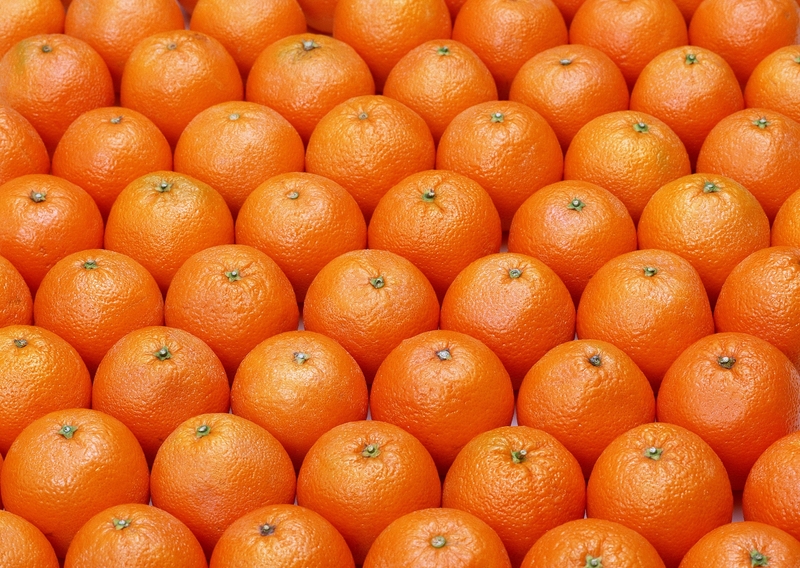 For instance, the similarity between the word for oranges and the word for gold mean you get loads and loads of Mandarins heaped on your door at Chinese New Year. Acknowledging these subtleties, Husband asked me why it took us 3 years to finally take the plunge and learn Mandarin. We really could have made the cultural integration thing easier on ourselves. “I guess the right opportunity had to pop up,” I answered. “Better late than never,” I reasoned. Now if I can only figure out why I have so much trouble communicating with the taxi drivers. That would make the time and energy more than well spent!